Cooper Road Trail – 0.9 miles from trailhead at Abrams Creek Campground at intersection with Little Bottoms Trail. 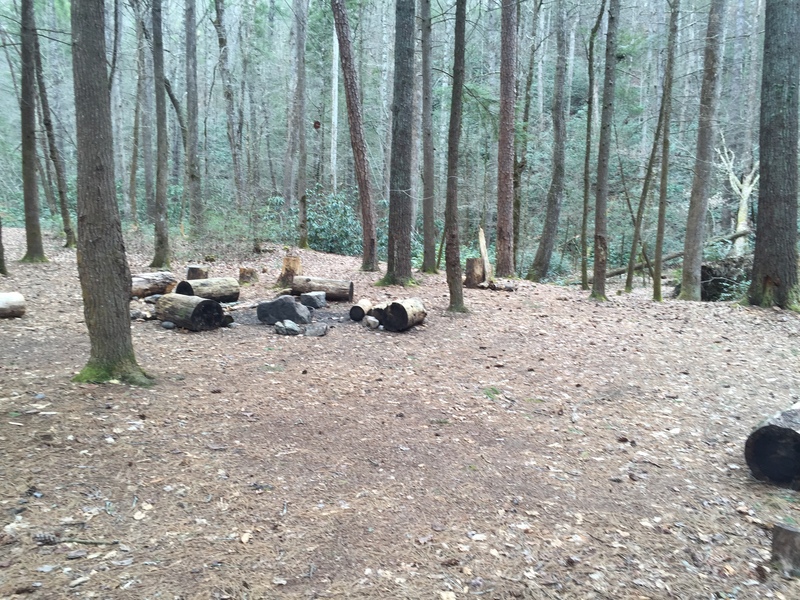 Campsite #1 is a nice flat space that is surprisingly low impact given it is only a mile from the trail head. There is plenty of ground cover and there are two fire rings and two sets of bear cables. The site is off the trail but highly visible. There are plenty of small trees for hammocks and little evidence of potential blow downs and widow makers. This entry was posted in Campsites and tagged Campsite #1, CS# 1 on April 12, 2016 by blogginggazelle.